With dreams of another amazing garden I worked diligently at the first of the year with visions of the same fresh produce I had enjoyed in previous years. While the weather was still blustery I planted heirloom seeds in my indoor greenhouse to get a jump-start on starting seedlings. And later I started preparing the raised beds . When we were welcomed with the warmth of spring I could finally set those tender seedlings into the sweet-smelling earth. Then I would dream about a few short when weeks I could once again begin harvesting the most nutritious and beautiful organic produce fresh from the garden. This is just part of who I am – I *MUST* garden and although it’s lots of work I derive immense pleasure and satisfaction from it. But a breast-cancer diagnosis popped up unexpectedly and my hard work preparing the beds turned into a mangled overgrown weed-laden out-of-control section of our yard. Although I secretly hoped that I’d be able to save my beloved garden, before long I had to face the cold hard truth – that for the first time ever I’d be without a garden this year. It was pretty defeating, I won’t lie. Then a miracle happened – several families surprised me by showing up at my house and preparing my garden for planting, a garden I had already resigned myself to not being able to enjoy this year. These Garden Angels were such a blessing. They swooped in and cleaned out the weeds, raked dirt and planted the veggies both from my indoor greenhouse and also some they had apparently brought with them. Wow. Two young children came with their parents to help. Now these kids didn’t jump in and then get bored and just get in the way from then on. They worked HARD the entire time there was work to be done. 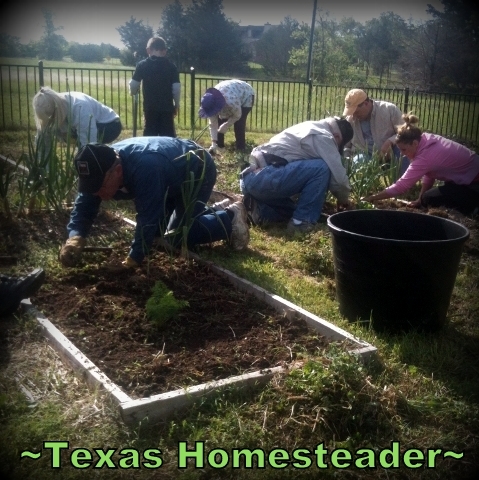 Those littles were digging weeds, raking dirt and planting tender seedlings – it was precious. Their mother told them that they were doing a random act of kindness and embracing their community. But I’m not sure they quite understood how much it was appreciated. This same family subsequently brought food several times over the next few weeks. What wonderful friends and neighbors to have! But as the time neared for me to return the containers they had delivered food in, I decided I also wanted to give a special thank you to these special young hearts. I was thinking how wonderful it would be if I could help instill a love of gardening in these two youngsters. I purchased a purple porcelain watering can for the little girl and a more ‘manly’ red, white and blue basket for the boy. Hummm… now what kind of seeds to give? I remembered the little girl was amazed when I told her about the 6-ft tall sunflower plants I always planted in my garden that included flowers so huge the birds could land on them and feed on the seeds. So of course I purchased a packet mammoth sunflower seeds for her. For the boy I turned to my husband for advice, “What’s a ‘manly’ vegetable?” I asked. He of course answered onions! HA! I asked him to think ‘child’ instead. We decided watermelon would be fun for him. So we bought him a pack of watermelon seeds. I also picked up a couple of terracotta pots and saucers. When I got home I placed some seed-starting mix in a couple of baggies, tied them with ribbon and then placed a bag of soil in each pot. 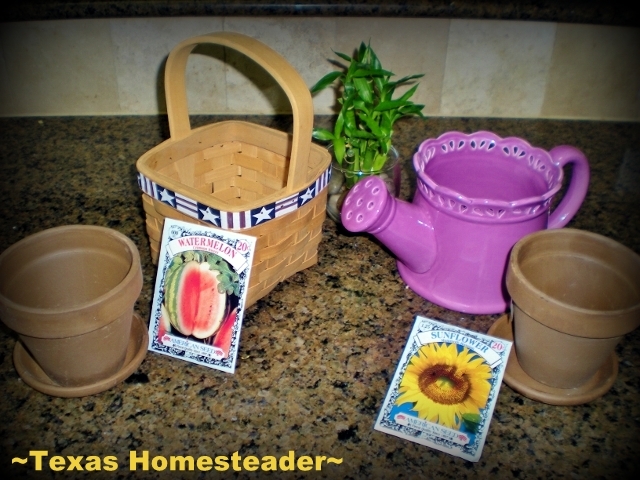 Then I placed one of the pots in the little purple watering can and the other in the red, white and blue basket. I tucked the seed packet on top and we set out to deliver our child-sized thank-you’s. The kids were so excited! This gift came from my heart but it didn’t cost much. It only took a few minutes to assemble and no doubt showed the little ones how much their efforts were appreciated. Gotta love it when it all works out in the end! 8 Eco-Friendly Gifts Your Friends Will LOVE! Thinking Of Adding A Pup To Your Home This Christmas? Make A Cute Gift Box Using A Christmas Card! 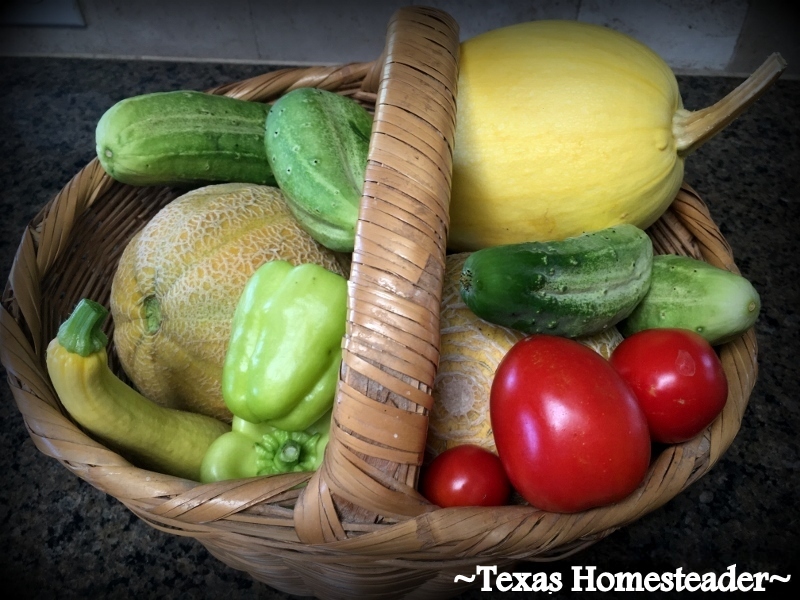 This entry was posted in Blog Posts and tagged Frugality, Gardening, Make-It-Yourself on May 8, 2013 by Texas Homesteader. This is such a wonderful idea! I think it’s important to teach kids about the gift of gardening at a young age. What a great story!! Glad you were able to have a garden after all!! Thanks for sharing on My 2 Favorite Things on Thursday!! Hope to see you later today!! Pinned!! What beautiful souls to help you like that. Thanks for sharing on Let’s Get Real. What a great idea! My children love checking on the things we plant. And, this gift wont take up space or cause clutter! Such a sweet story and a great idea for a gift for a child. We love to garden. This is such a beautiful heartwarming story. Thank you so much for sharing it on Natural Living Monday! This is wonderful! And I love the garden kit. My daughter would have just loved this when she was younger. She and I got into gardening just in the last few years, but wish I’d started sooner. Thanks for sharing. Oh sharing the love of gardening with children is so near and dear to my heart! I love your sweet thank you gifts! Thank you for sharing this post at my party this week! I have featured it on my Facebook page and have pinned it to my You’re Gonna Love It board on Pinterest! I just did this for a birthday gift idea. It turned out really nice and I felt really good about not just giving a toy. That is a great idea! I have a few birthday parties coming up for kids and this has got me thinking…a garden starter kit would be a unique gift the children will not get from anyone else!